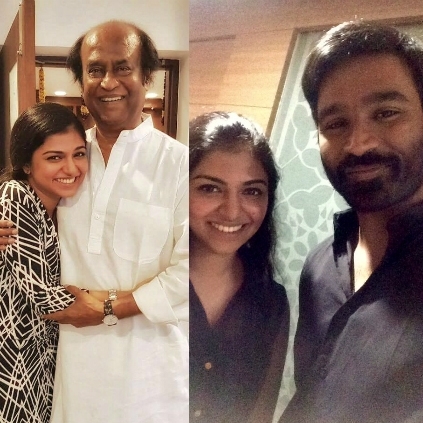 Raveena, one of the prominent dubbing artists and a budding actress, recently finished dubbing for Madonna's extended cameo in Dhanush's Power Paandi. When we got in touch with her for more updates, she said, "I was called upon to dub for Madonna's role in Power Paandi. Though Dhanush sir came to the dubbing studio half and hour late, he was so down to earth to apologize for showing up late. He was there throughout the dubbing session and helped me with the dialogues. We finished the dubbing in just one hour of time." Apart from Power Paandi, she has films like Vishnu Vishal's Kathanaayagan (for Catherine Tresa), Thittam Pottu Thirudura Koottam (Satna Titus), Saravanan Irukka Bayamaen (Regina Cassandra) and Shankar's 2.0 (Amy Jackson) in her kitty. Quite an interesting lineup! People looking for online information on Power Paandi, Raveena Ravi will find this news story useful.